Umpiring numbers have increased this year, in a big positive step for AFL football in Queensland. In 2017, AFL Queensland counted 1235 umpires in their ranks, up from 1182 last year. Of the 163 new umpires, 79 were boundary umpires, 57 were field umpires and the remaining 27 were goal umpires. The numbers spike looks to be due to an increase in focus on the Junior Club Umpire Program, along with a greater presence in schools through the AFL Schools of Excellence Program and an increased social media presence. The Junior Club Umpire Program, is a program run by clubs that facilitates their players umpiring their club’s games in lower age divisions. Umpires in the program work with an umpire coordinator at their club, in addition to attending three sessions run by the AFLQ Umpiring Department. 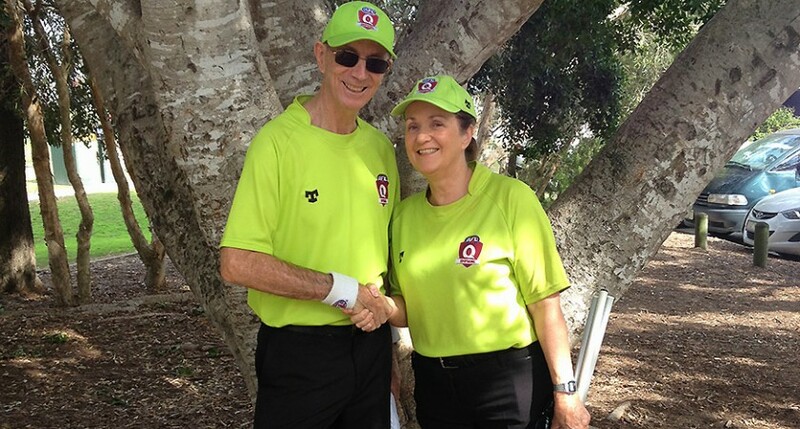 The program, also known as the JFUP program, saw 348 umpires register in 2017 and umpire throughout the year, 191 in Brisbane, 138 on the Gold Coast and 19 on the Sunshine Coast. “The clubs are doing a sensational job to get the word of umpiring out and working on increasing the gameday environment so that everyone is welcome and everyone can enjoy it,” said AFL Queensland Community Umpire Development Manager Nicholas Liparota. While the growth in numbers is a great sign, the game can never have enough umpires and there remains a demand for newcomers to the sport. “We need to make sure we’re constantly growing our umpires so that we can handle the games of football and develop our talent as well,” he said. Umpiring numbers take into account registrations from the 1st of November 2016 to the 31st of October 2017. Registrations for the 2018 season are currently open and can be accessed via the below link.